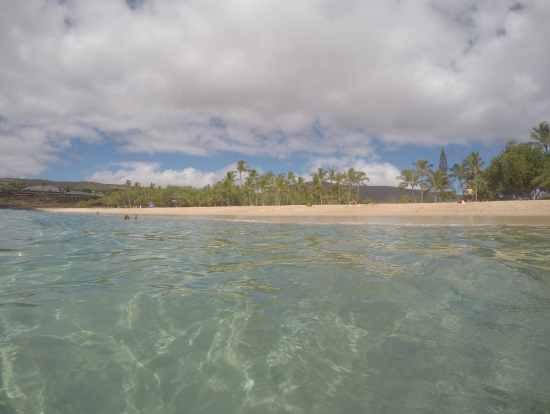 While Oahu is called the Gathering Place of Hawaii, the neighbor islands have plenty to offer as well! Hop over to Kauai, Maui, or the Big Island on these one-day, guided trips that will take you to each island's most popular attractions! 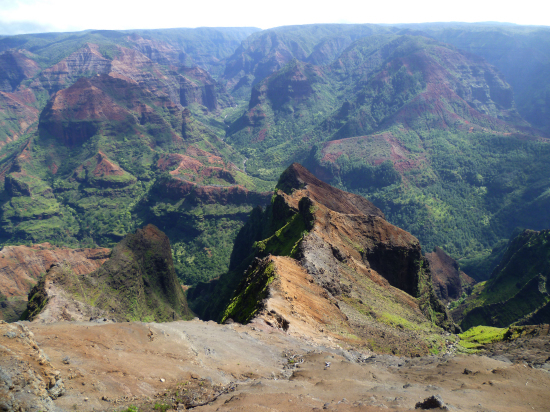 See Kauai's Na Pali Coast and Waimea Canyon, Maui's Road to Hana and Haleakala, or the Big Island's famous Volcano, all without needing a hotel or rental car! We chose to take this tour after doing some online research. Our day started early with a trip to the Honolulu Airport. There we met others in our group and a company representative who took care of our tickets and boarding on a Hawaiian Airlines flight to the Big Island. We were met at the Kona Airport by Cousin Greg, our tour guide. Cousin Greg was exceptional. 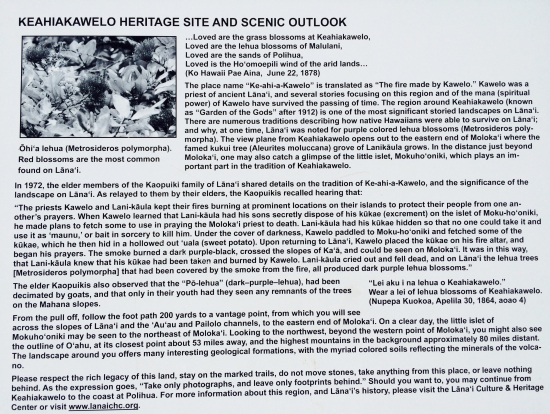 His knowledge of the Big Island, its past, its present, and its people was amazing. He made a rainy day, that could have been a real disappointment, into a great trip. 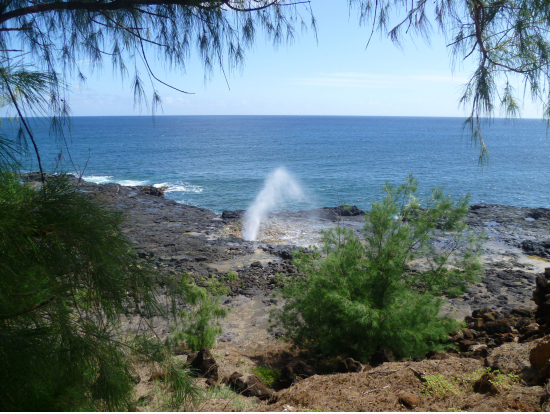 As advertised we circled the island and stopped at several must see sites, including the: Black Sand Beach, Volcanoes National Park, and Rainbow Falls. We made stops at a coffee plantation, a candy factory, and macadamia nut processing plant. Some of the online reviewers complained about these stops, but at each stop we were greeted by a friendly staff and offered plenty of free samples. Most of our tour group made some purchases along the way. Also each stop provided some time for leg stretching and restroom breaks. From the bus we saw several other historical sites and scenes of natural beauty like the: Naha Stone, Parker Ranch, several water falls, beaches, lava flows, and many other sites. We decided to take our lunch after reading several negative reviews about the lunch stop. However, we ate inside the restaurant and were treated well by the staff. Our fellow travelers seemed to have no complaints about their lunch. My wife was very apprehensive about this trip because it made for such a long day, but she and I thoroughly enjoyed it. One more time I must say thank you to Cousin Greg for outstanding service. If you are on Oahu and only have one day to see the Big Island, this is definitely the way to go. Next we were out to Memorial Cemetary and that was very interesting as well. Last stop after leaving Cemetary was our free time in Waikiki. Traffic was horrendous and lost alot of freetime to walk around due to travel to downtown. For my wife and I we felt the cost of trip was reasonable and very glad we took the trip. But the one ingrediant that made the whole day memorable and quite enjoyable was our guide - Mr Garfield. He was engaging, he was extremely knowledgeable not only about Pearl but about ......everything. Not taking away anything from other guides available but having Mr Garfield was a huge positive to making the day an absolute success. I recommend that if you are contemplating taking a trip that you request Mr Garfield. You will not be disappointed. Great day, money well spent! At first the day seemed like a pricey day when you consider for two people it cost over $300. The cost was well worth it! 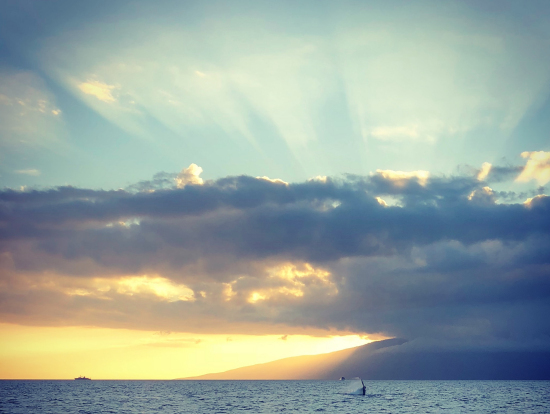 When we arrived at the Lahaina boat dock we received our vouchers and were told we could basically return on any ferry regardless of our departure time (so more flexibility than expected). The ferry ride was great, we got to see whales all over the place, which was a first for my mother. 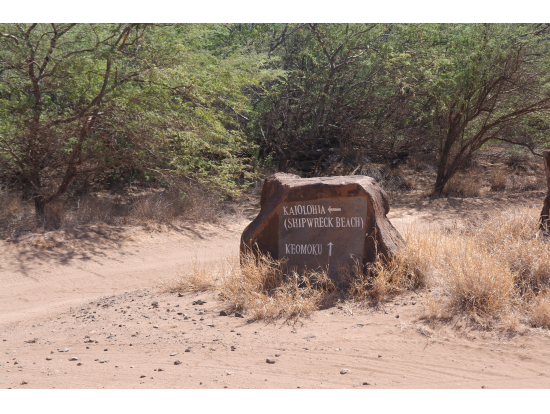 Once we reached Lanai everything was taken care of, the shuttle had been booked and paid for that takes you to the rental car site. The rental jeep was ready to go, although it's not really stated anywhere beforehand you are not allowed to remove the roof due to red dust. 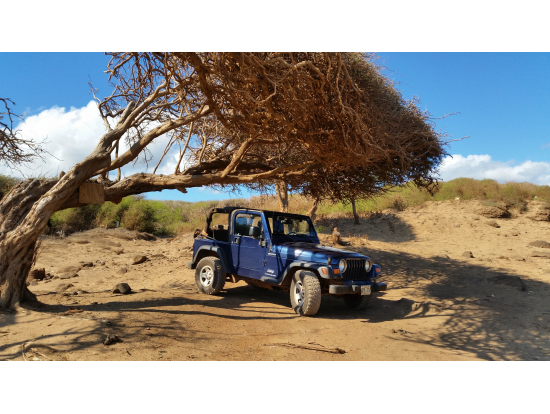 Most of the adds showing jeeps on Lanai have jeep tops off or down but you cannot do that. That being said I wouldn't have wanted it down due to the red dust either. The shuttle driver setup a pick up time before leaving, as well as his number in case we wanted to catch an earlier ferry back. We rode down to Shipwreck beach, did the Cat Sanctuary, and then Garden of the Gods and the beach below. This took all day and by no means did we do the entire island, which meant that we took the last ferry back to Lahaina. We would do this again as there is more to see and do on the island as well as the ease of just showing up and having everything set for your day. 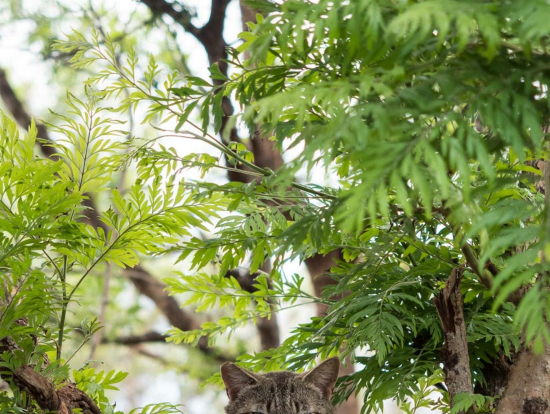 Cat at the Cat Sanctuary. 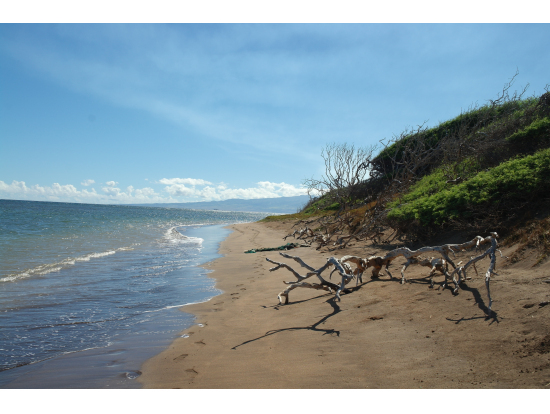 We have been coming to Maui for years but have never ventured off the island to visit Lana'i. First of all, Veltra allowed us to change the tour date from a Monday to a Thursday with no problem since we had a conflict come up. The ferry ride from Lahaina was easy and took about 45 minutes. The sea was very calm and although they recommend taking sea sickness pills, it wasn't necessary for this trip. 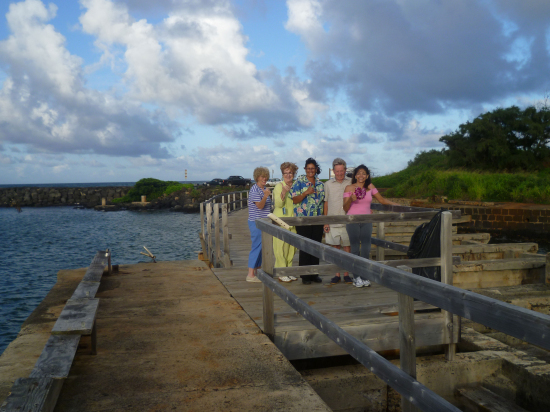 Our tour guide Bruce, met us at the ferry dock on Lana'i. He drove us around in an air conditioned Suburban which was very comfortable. It was just the two of us so the tour was really personalized. We took the full day tour which really gives you a great impression of the island. The tour was about 2 1/2 hours in the morning, then an hour for lunch and 2 hours in the afternoon. Bruce, our guide has lived on Lana'i for 20 years and was very knowledgeable. 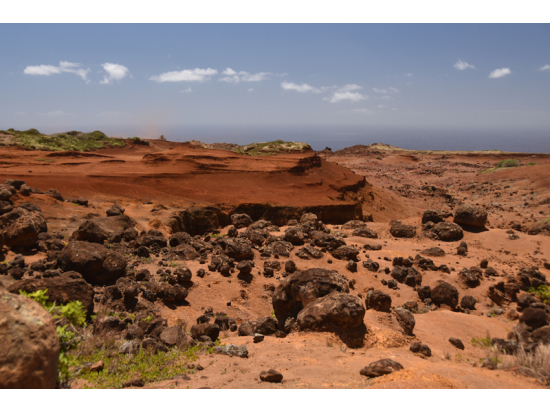 He has seen the positive changes that have occurred on Lanai' since Larry Ellison bought the island five years ago and thoroughly explained the evolution of the island through the current day. We were then dropped off at the ferry dock for the 4:30 p.m. ferry back to Lanai--note, you need to book the return ferry when you schedule the tour and for the all day tour, the 4:30 p.m. ferry is the one to take. 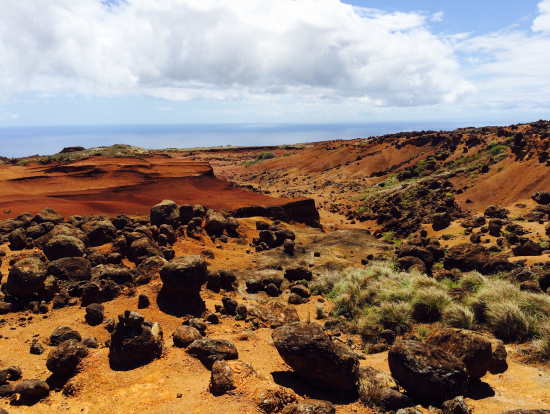 We wanted to explore all 6 of the main Hawaiian islands on our trip and so included a trip to Lanai. We signed up to take the ferry, shuttle, & Jeep rental package. 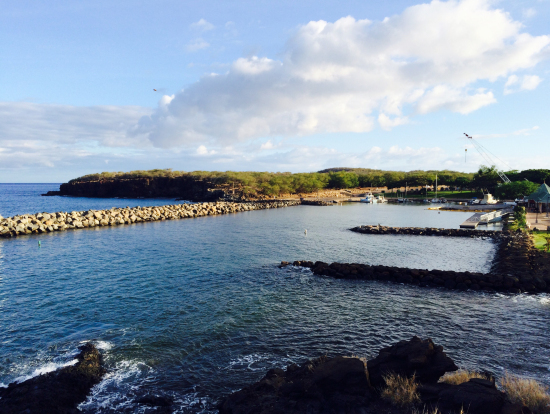 We drove to Lahaina on Maui & rode the 9:15 AM ferry for the 45 minute ride to Manele Bay on Lanai. We then took the shuttle to the Dollar rental place in Lanai City (a small community in the center of the island with no traffic lights) and we were given an almost new air conditioned Jeep to drive around for the day. 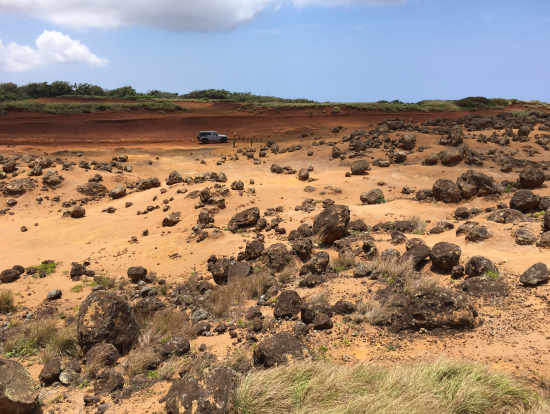 We were well aware of the landscape on Lanai - so it wasn't a surprise to see very little vegetation and no good beaches there. We took our time and drove east to Shipwreck Beach & then north to the Garden of The Gods (a truly unique moonscape like place). Then back into town for a casual lunch & finally out to the west coast to see the barge harbor (not much there). 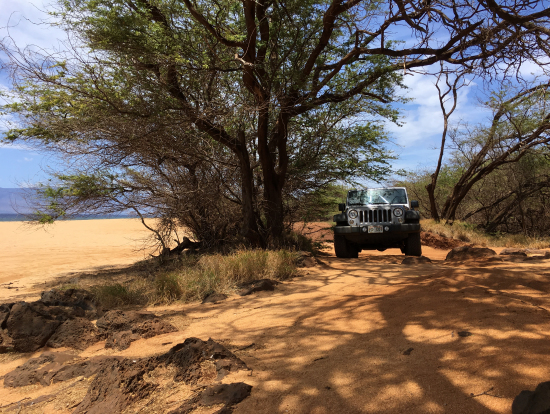 We turned in our Jeep (after filling up with $4.50 per gallon gasoline) & were taken back to the ferry dock & ferry ride back to Lahaina in the evening. A very full day and worth it - not something to do again, but worth it to say that we explored this very little visited island. We had no problems with the ferry, shuttle or Jeep reservation. Having lived on Oahu for 5 1/2 years in the '50s and never having visited any of the other islands, my sister and I were expecting to see something different and unique. This tour certainly filled the bill and was both those things - and more! Our tour guide - Patty -was very knowledgeable about local and island history and places of interest. She stopped at more than the expected stops and we had plenty of time at each one of them to take pictures, visit any shops that were there and generally get a feel for the place. 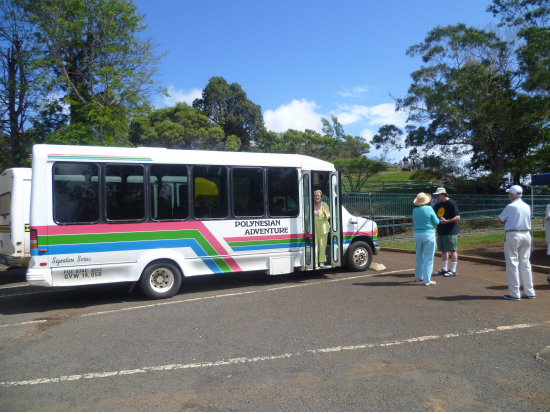 The fact that we were a small group - just 8 of us on a mini-bus - was fantastic and we turned into a group of 6 after lunch after dropping one couple off back at their Kauai hotel. I was with my mother during this vacation. 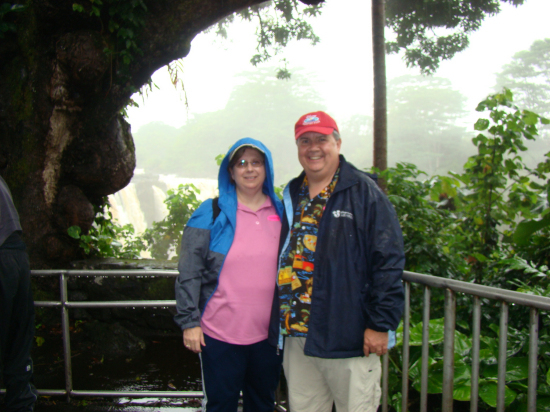 She and I went to Maui as part of a medical convention. Our tour guide was "Ed" and he was just as great as I had previously read about him on this VERY SITE!! 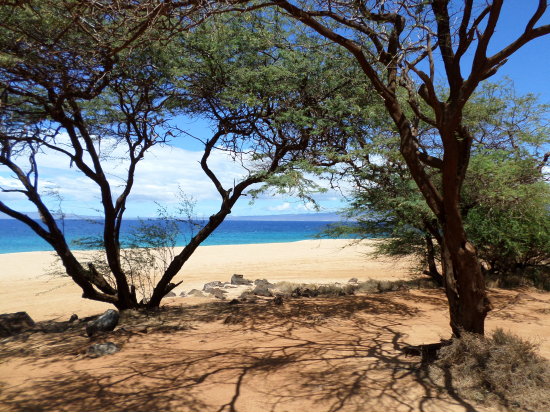 Ed is very knowledgeable about all of Hawaii, not just the areas that you will go to. He spent a great deal of time talking to us about Hawaiian culture as well as the tour route information. This is a very long day, so be sure to get a good night's sleep the night before! We started off the morning with a 4:30 am pickup at our Oahu hotel and were driven to the airport. The driver was on time but the flight out to the Big Island on Island Air was not until after 6:30am, so we did have a but of a wait. The flight out was good, with one stop in Maui to pick up more people. 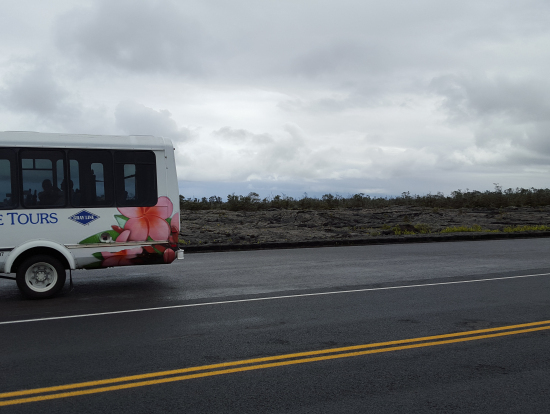 Once in Hilo, we were placed in a comfortable, air conditioned mini coach that could hold approximately 24 people. Our driver, Steve, was wonderful. He was friendly and constantly speaking to us with a wealth of information. We are a family of five that went on this tour. 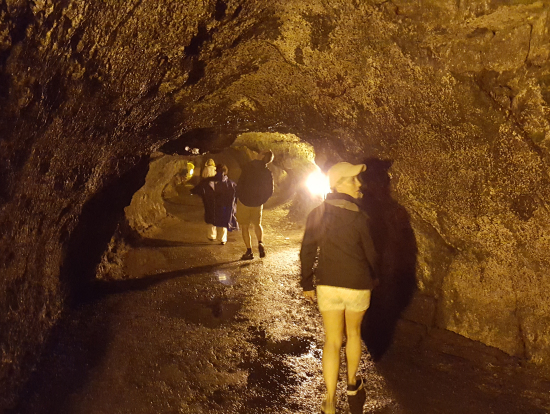 I would not recommend this tour for really young children, as this is a long day and there is about a 1 mile hike on uneven hardened lava, but our youngest child is 9 and she did great. Our family enjoyed this tour very much and thought that this tour was a great value. We would definitely do it again. My husband and I recently took this tour. I was honestly not expecting it to be interesting to me--I went because my husband wanted to see it. The tour of Pearl Harbor, the Arizona and Missouri was awesome. Very emotional--it was impossible not to feel the enormity of the lives lost-it is hard to describe the feelings I felt--sorrow, awe, humbled by the great service to all of us in the US. They vow never to forget and to always treat the memories with dignity and honor, and that's just what they do. I highly recommend the tour. The rest of the tour, which involved the flight to Oahu and a bus tour of downtown Honolulu was great. We had a great bus driver who was both funny and very knowledgeable--so thoroughly enjoyed his narration of the tour as he drove us around. One time after we got off the bus for a stop, we got confused and lost our way back--and were very relieved he waited for us before continuing on. All we can say is "WOW"! 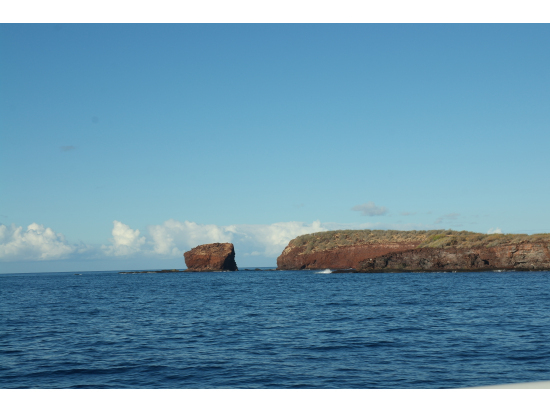 The Ferry ride to and from Lanai was, in itself, fantastic. We met some locals who couldn't have been nicer and saw an unreal sunset on the way home. After we grabber our Jeep we hit Richards supermarket. Now, by this time in the trip we had eaten enough poke to get Mercury poisoning so when I tell you that Richrads Super Poke Bowl was the best we had. I mean it! Id go back just for that! 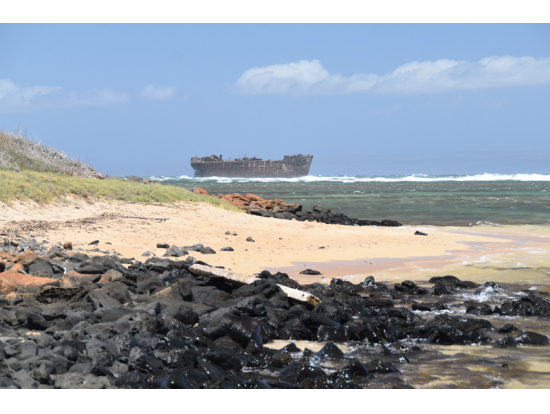 We hit Shipwreck beach which was beautiful. We made it to the Garden of the Gods and then to the beach beyond that....we did not see a SOUL out there. It really felt like we were on a deserted island. Now, I do have to tell you, the drive is technical and you could get stuck. So be careful! There was a point where I had to lay some rocks and driftwood in the trail just to make it through. 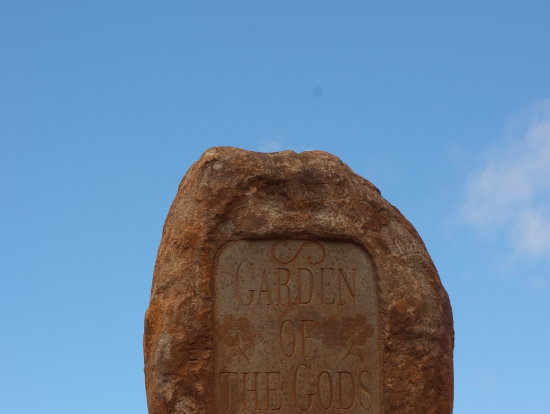 All in all....it was an amazing day and I will go back to see the rest of Lanai as soon as I can. Really fun experience. Great for families. Had a really good time on the trip. The customer service was top notch; every employee was ready to jump to serve the customer. 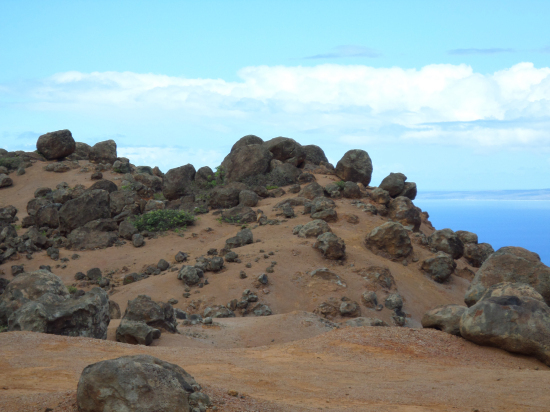 It was a very smooth ride to Lanai accompanied with juice, coffee, cinnamon buns, and breakfast sandwiches. You end on a pretty secluded beach, and while snorkeling the crew was great about being available if you needed help, but otherwise leaving you alone to see the sights. Lunch was grilled chicken and Asian noodles. On the ride back they serve ice cream and then open the bar. We saw whales on both the outgoing trip and the return, and the captain would stop to view them. The only part I thought that was less than stellar was the food quality. While certainly not bad, it just wasn't anything great. Also, the description makes it seem like they serve booze the whole time, but they don't open the bar until about the last hour of the trip. All in all a very fun experience and a great trip for families. This was my first time to Oahu and I really enjoyed the tour. The Driver was waiting at the airport for us and was very friendly. He explained the sights to us and guided us thru Pearl Harbor and the Missouri. The only negative thing was that we were not booked on a return flight to Maui until 735pm. The tour was over at 5:00 pm Some people on our bus had flights returning to Maui @ 6:30 pm, so these people had to get to the airport for their flight. The driver dropped the people from the tour bus that had the 7:35pm flights at a restaurant so we could eat while he took the 4 people who had 6;30 pm flights back to the airport. There were 12 people left at Ruby Tuesdays to eat or just sit and wait for the driver to return. I would have preferred to stay longer in Waikiki or have done some more sightseeing instead of just sitting there waitng for the bus driver to return from the airport. We are a family of four, children ages 12 and 16. All of us enjoyed this tour. Ed was our tour guide. We have been on many guided tours before, Ed was by far the best guide we ever had. We were really impressed with his knowledge of Honolulu and the amount of information that he shared with us. The sights through the city, and Waikiki were so breathtaking that we are actually ready to plan our 2nd trip to Hawaii. We also enjoyed how Ed really personalized this tour by sharing his own memories and experiences growing up on the island. This is a long day, yet our guide's enthusiasm, and obvious love for Hawaii remained constant from start to finish. He was very charming, funny, and yet very professional. Not one time did he hint at getting a tip, this has never happened to us before! We have nothing negative to say about this tour, nothing. MUST SEE TOUR, REALLY! It was a long day, but one that I will not soon forget! From the moment we were picked up, till we were dropped back off, the staff was excellent. They were fountains of information and made the tour that much better. 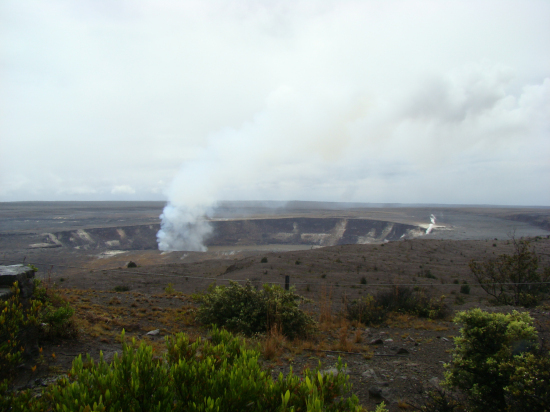 Once we arrived into Hilo, I was thrilled to be able to see the crater and recent lava flows. It is amazing that this island is still growing and too see where new land is being created was quite the experience. Also being able to have lunch at the Volcano House was a wonderful touch and I am glad that we were able to have lunch in such a unique environment (and it was really yummy too)! There was so much to see even once we were done with at the National Volcano Park, and the waterfalls were quite breathtaking. Must thank our river for the stop at the macadamia nut factory, since the ice-cream just hit the spot! Thank you all for everything!!!! A great day for anyone wanting to learn about this Gem of an Island.The flight to the Island was an amazing experience alone, as it was sunny, we could take fantastic photos of Oahu and Molokai. When we got to the Island, our Tour Guide (Rudy) was waiting for us, and I cannot thank him enough for making this such a memorable trip. His knowledge and information sharing about the island were just mindblowing. Big hats off to Rudy. We had the pleasure of seeing amazing locations, take even better photos and bring back some memories we will cherish forever. If you want to experience a day sightseeing, learning and experiencing some amazing stories, I would highly advise you to visit this Island. We were lucky the weather was fantastic but even luckier we had Rudy showing us around. Will definitely come back one day. 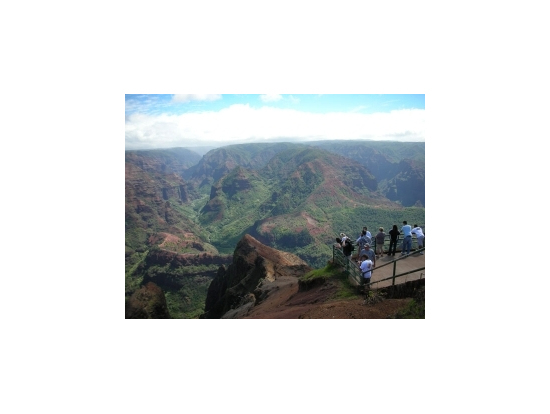 We wanted to save time but not transfer hotels so we booked a day trip to Kauai from Oahu. It was an excellent overall experience. We were picked up on time but I'm not sure why it was so early because we waited a couple hours before the flight. Our guide was lovely and we enjoyed the movie tie-in to many scenic spots. Lunch was very good at the cafe used in The Descendants film. I would have liked a little more time to explore Hanalei but we did have time for a yummy shave ice. The beach with the long pier was memorable. The helicopter tour was exciting and gave us an entirely different perspective of the island. Once back at the airport we had to wait more than 2 hours for the flight. Not sure why these day trips are set up this way. It makes for a longer day than should be necessary. Spectacular trip on a beautiful boat. 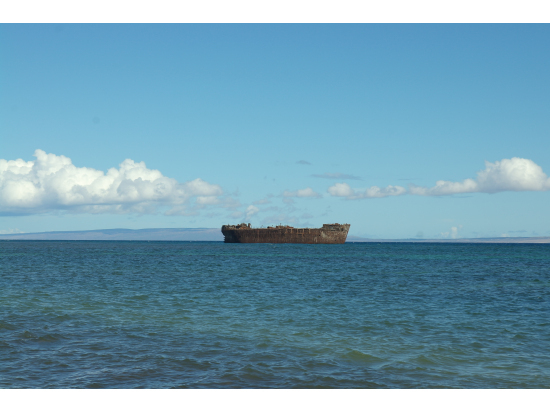 On spur of the moment my wife and I decided to take the ferry to Lanai then rent a Jeep to go exploring. The cost was reasonable and it was a spectacular day. We caught the 6:45 morning ferry. The Jeep was waiting for us in the parking lot. We headed out not really sure what to expect. 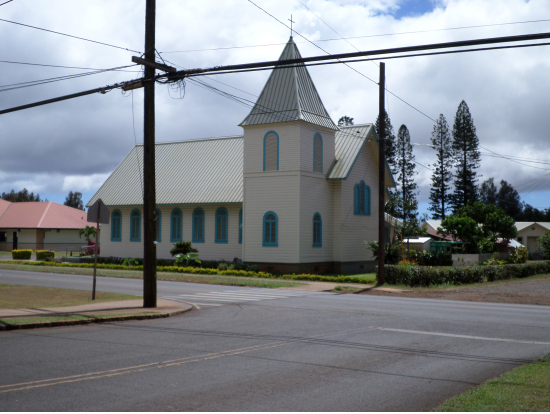 We ran into Mikee as we were driving up the hill towards Lahaina City. Mikee is the guy we rented the Jeep from He gave us some tips on what to expect and where we should go. His suggestions were bang on. We had a leisurely day exploring the island; so many amazing sights that will take your breath away! We planned to take the 6:45 return ferry that day. It gave us some leisure time after we were done exploring. The return on the ferry was a bit rough but the boat handles it easily. This was a really great trip. Everything was just about as advertised. It was awesome to see the waterfall at Rainbow Falls and to see an active volcano, craters, walk on a lava field, see plumes of smoke from an active volcano. The only downer of the trip is when we got to the airport to return to Oahu, our flight was delayed 1.5 hours. Of course, the tour company can't be responsible for this. 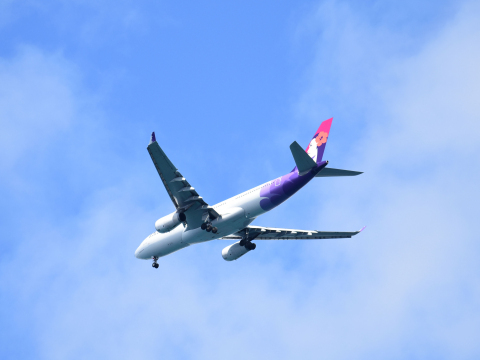 The airline (Island Air) did put us on another flight (Hawaiian Airlines) which was also delayed. So we got back to Oahu over two hours later than expected. We left our hotel at 4:30am and didn't get back until 10pm. A very long day so be well rested, especially for the 1 mile (total round trip) hike over the lava field but it was well worth it and I'm glad we did it. What a fantastic trip! I was overwhelmed by the beauty of the Park and could have spent the whole trip there. Maybe the bus couldn't make it down some of the other roads. Needed more time for the Jasper museum at the Park. Lunch was so late that when we got to Volcano House there was no food left in the sandwich area. Many people on the tour did not want the buffet but had to have it as there was no food available. You should promote the arts and craft building at the park. There were wonderful things there but I only had 5 minutes to look at the whole building. Also no opportunity to look at the exhibits at the visitor center due to time constraints. All day at the park would be awesome!! A bit of a rocky start as we were to meet group picked up at Waikiki at airport. Group was late and no contact with Veltra guide had us nervous for a while. Once settled and arrived at Hilo, 'Captain' Bob took over as our guide. Our group of 10 toured all sites as mentioned and Bob was an excellent guide throughout. 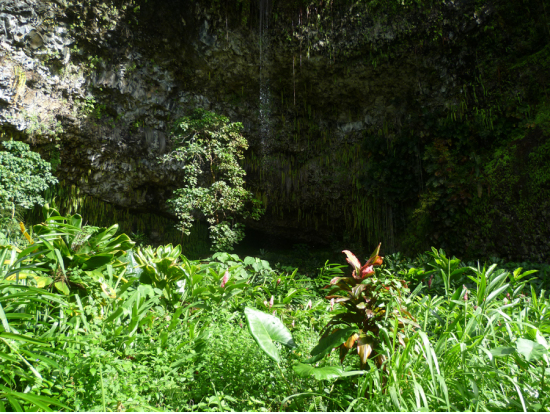 He made the tour much more interesting with his extensive knowledge of the island history, geography, plant and animal life, food, climate, etc. He also shared quite a bit science knowledge related to the volcanoes. All was delivered with humor and was very enjoyable. 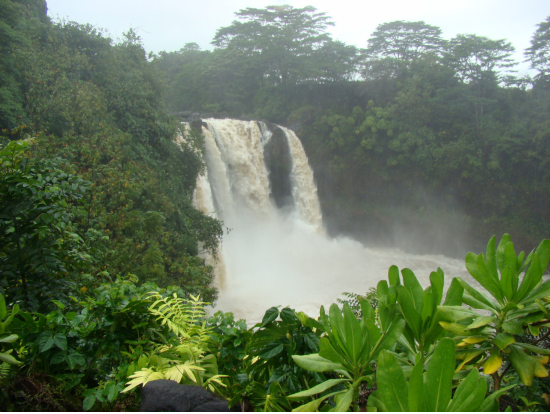 Keep in mind Hilo is known for the amount of rain received - you are advised to bring appropriate clothing. Really nice to have Larry -- a knowledgeable, eloquent, humorous and considerate buddy-- as our group's driver and tour guide. 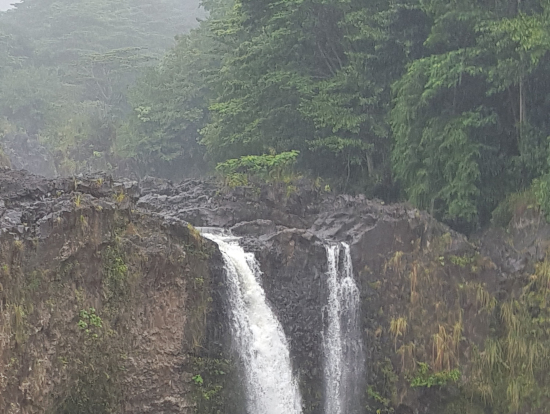 We all enjoyed a great deal on the road to Hana and all the way along the breathtaking Pacific Ocean! I personally had a specially great time in this tiny and yet magic band, I should say. 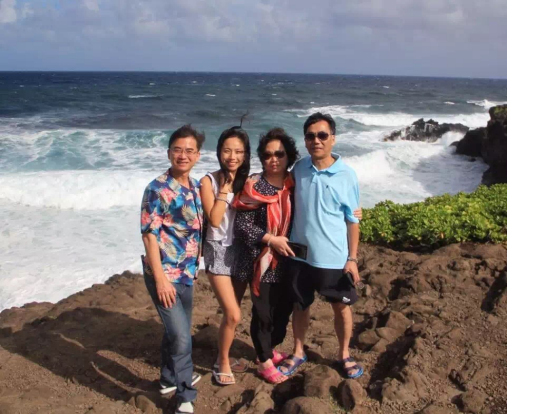 You know I was a solo traveller, but when we got together at breakfast time that day I was lucky enough to join a " Shanghai Family", which endowed me with much love and care on the Road to Hana Adventure! We booked this one because my husband wanted the offroad experience. And it was great! We started early in the morning by going to the Lahaina harbour, from there the ferry took us in about 45 minutes to Lanaï where we were brought to Dollar and get a beat up Jeep and a roadmap with roads we could drive on and roads we weren't allowed to drive on( which we did anyway). 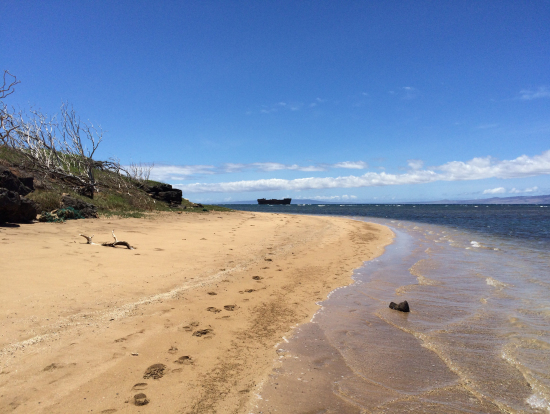 We went to Shipwreck beach, Garden of the gods, Polihua beach,Hulopoe bay,Keomoku village and Lanaï city. 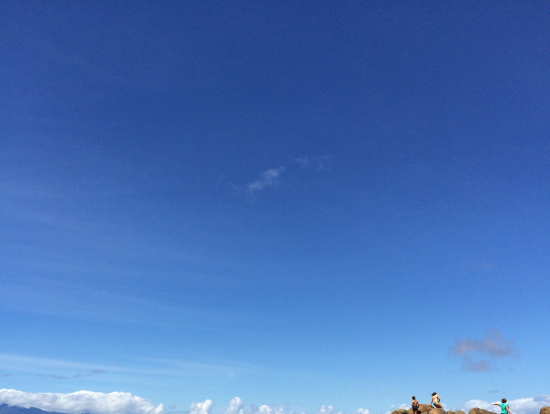 We drove around Lanaï almost the whole day and snorkeled a bit in a tidepool at Hulopoe bay. Because we took the last ferry back to Mauï , we were exhausted at the end of the day. But it was worth it. We had an amazing day! 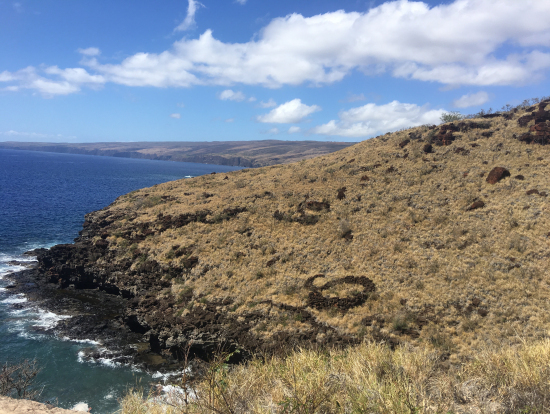 The first stop was a snorkle spot just off of Lanai. 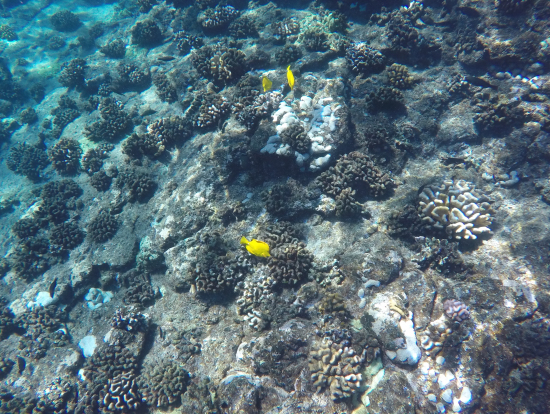 It had huge coral reefs with tons of tropical fish and the water was crystal clear. 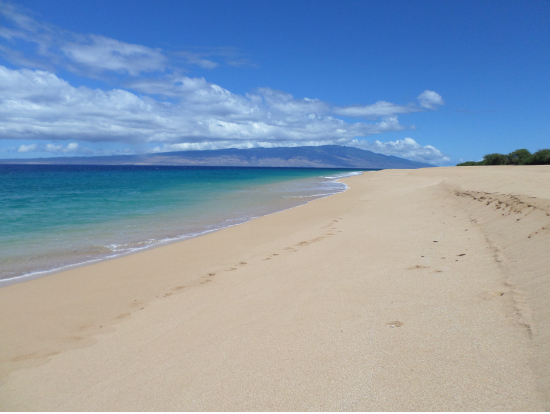 We were then taken to a remote beach on Lanai for an afternoon of relaxation. We had the option to snorkle again or just hang on the beach. The beach & the water were incredible. There were also lots of tidepools to explore that were full of sea life. On the ride back we saw playful humpback whales splashing around in the water. I highly recommend this day trip for adults. It probably not the best for kids, especially young kids. The day was great, the crew was fantastic and I already want to go back! This was my first trip to the island of Kauai, and I must say I fell in love with the island. The people are much more relaxed than Honolulu, and the sceneries were just beautiful. Waimea Canyon was definitely the highlight of this trip, and I'm glad that I was able to see the "Grand Canyon of the Pacific". The breathtaking view of the art of the mother nature is worth every penny. 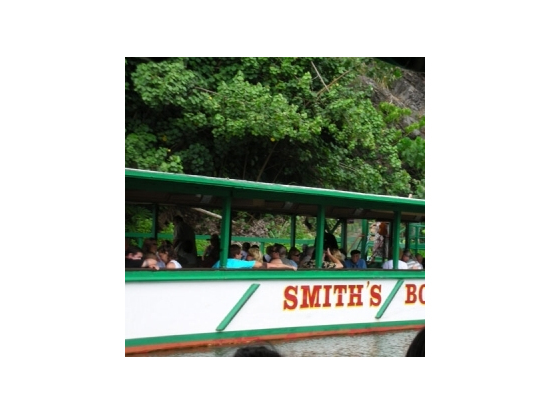 The Wailua River Cruise was very nice, and the Smith family did such a wonderful job entertaining us on the boat and at the Fern Grotto. We thoroughly enjoyed their hospitality. This is definitely recommended if you are only staying on O'ahu, and want to see Kauai for a day. I thoroughly enjoyed myself. Though the day started out a bit rainy (we did get an awesome rainbow) it cleared up quickly so by the time we were hiking the lava tube the weather was very pleasant. 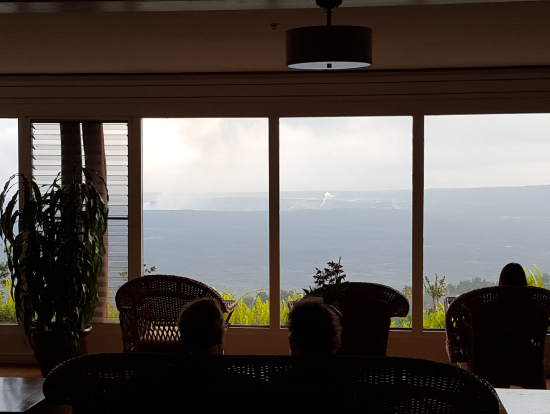 Viewing the volcano plume while having lunch at the Volcano House was awesome! 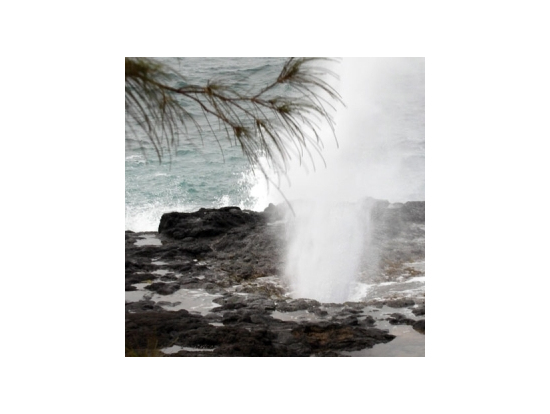 Did enjoy the side trips to the orchid store and the Macadamia Nut factory, but the highlight was of couse hiking the lava beds and getting close enough to the water to see that tremendous grey and white plume where the lava meets the sea. Our driver was very knowledgable and did enjoy the information he provided us. Am tired but happy and would defnitely do this again. Mahalo! Tour beyond expectations. FLIGHT WARNING!!!! We had such an amazing time. We had Capt Rob as our guide and he was great. The volcano tour was great and Rob was very accomodating for breakfast and lunch needs knowing most of us had come over on planes from Oahu. Flight was a huge disappointment. If you have the choice fly Hawaiian not Go! Airlines. We were dropped off at the airport in Hilo at 6pm and our flight back to Oahu didn't depart till 8:30. Not much to see or do at such a small airport. It ruined our day and destroyed our dinner plans for the evening. Everyone else on the tour were flying with Hawaiian and departed straight away. We were not given a choice in airlines but wish we had.